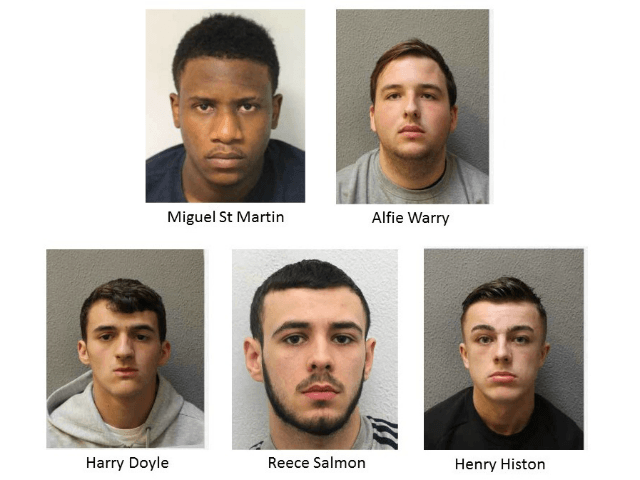 The gang members were described as “big operators in north and central London” by police after being netted by the famous Flying Squad and police assigned to Operation Vocare, according to an official statement. The gangsters had robbed a number of mobile phone stores and carried out a series of street robberies, but their most audacious crime was an attempted ram raid on a jewellery shop in a stolen Land Rover Discovery. Unable to break through the shop’s doors in the vehicle, they got out and attempted to break them down with sledgehammers — stabbing a 48-year-old man who attempted to intervene in the back and hacking him in the knee with an axe. The gangsters will be sentenced for their crimes together at a future date, which is yet to be specified.